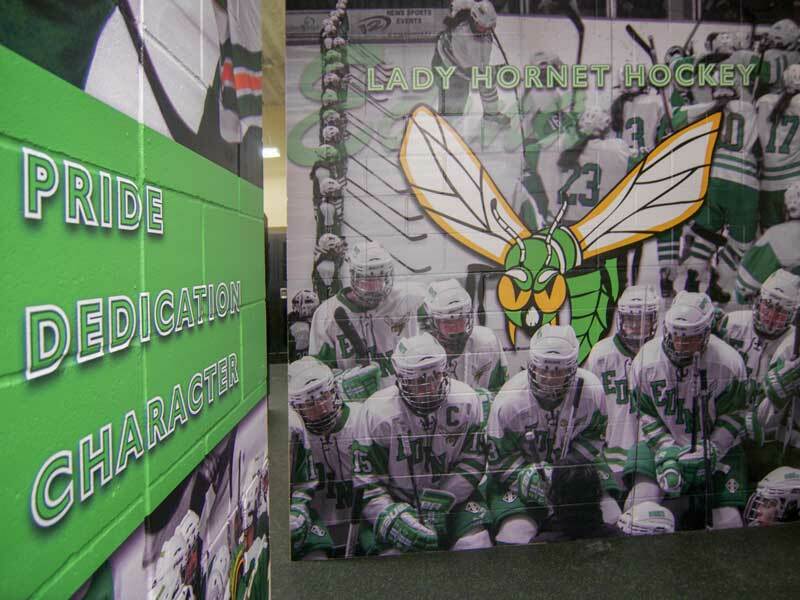 The "Hornets Nest" was a two-story expansion project of the classic Braemar Arena in Edina, MN. 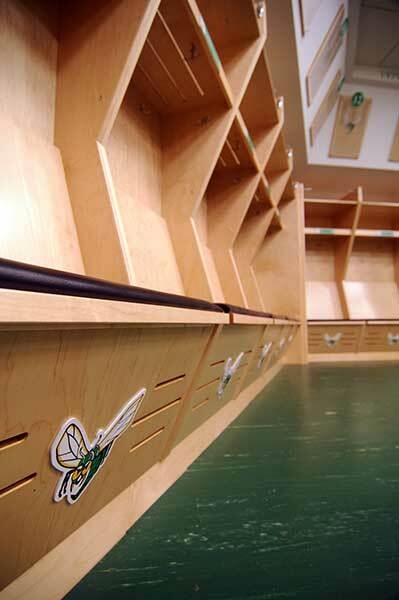 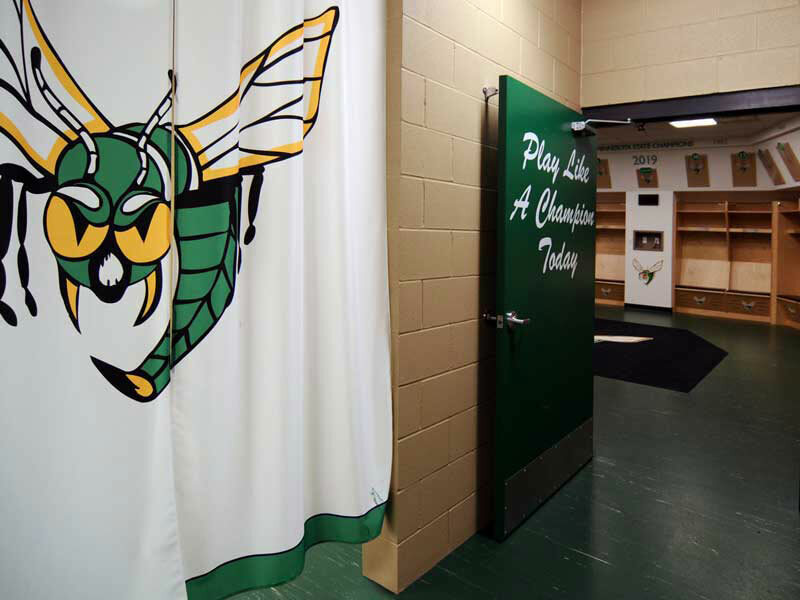 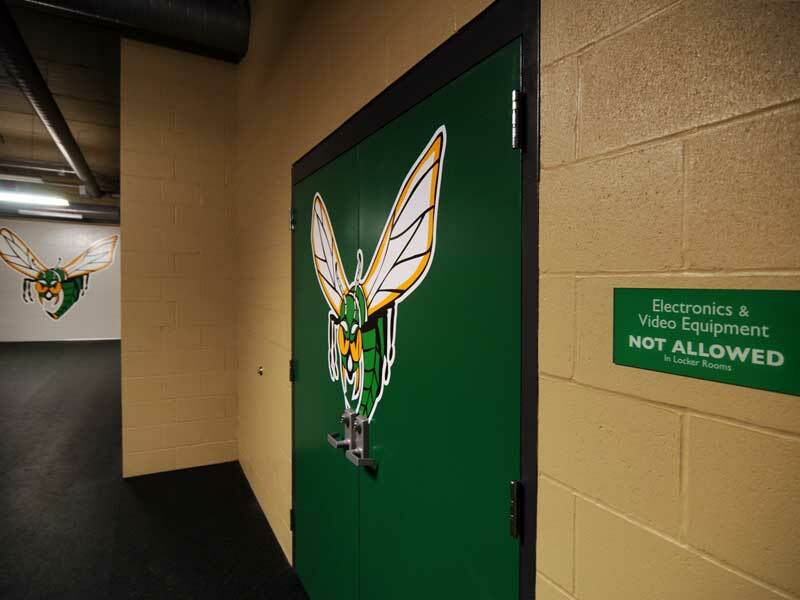 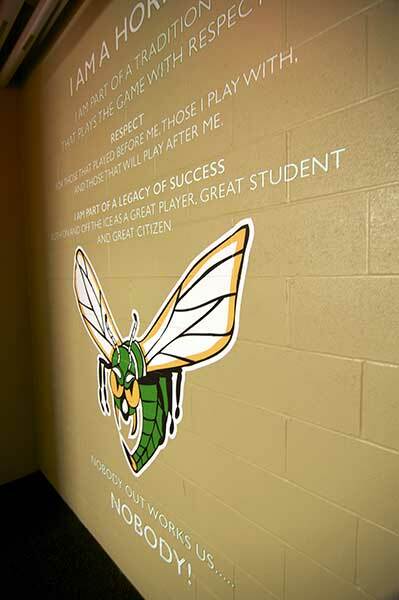 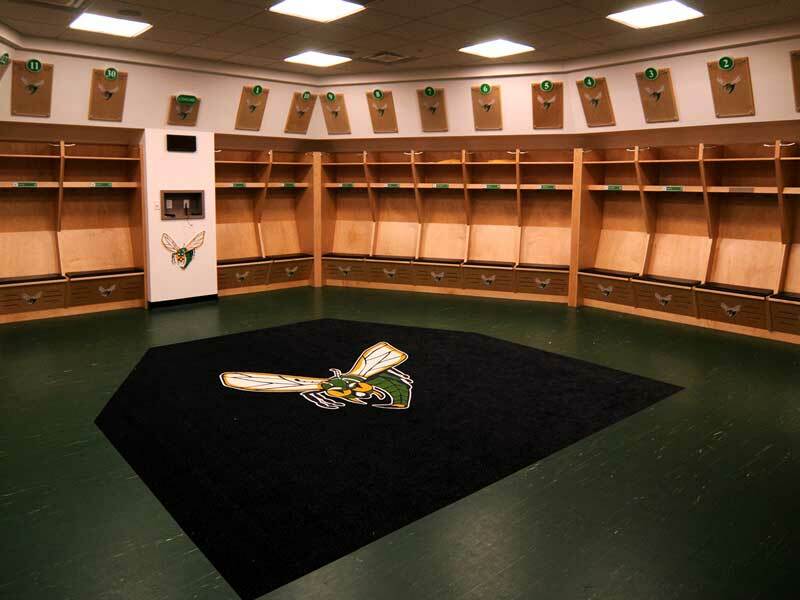 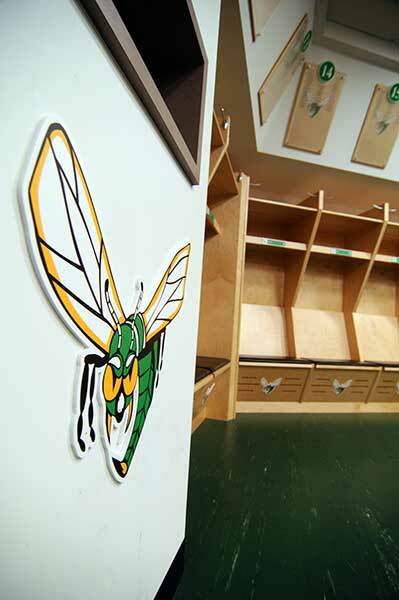 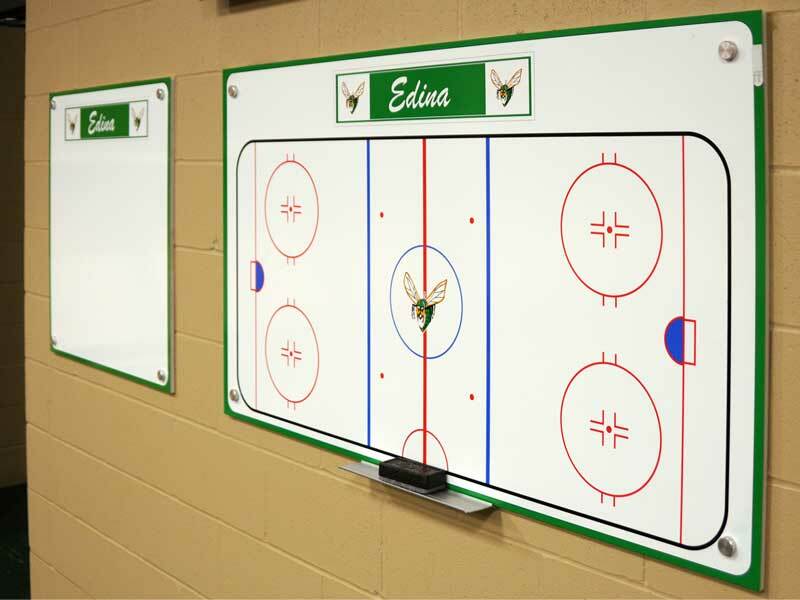 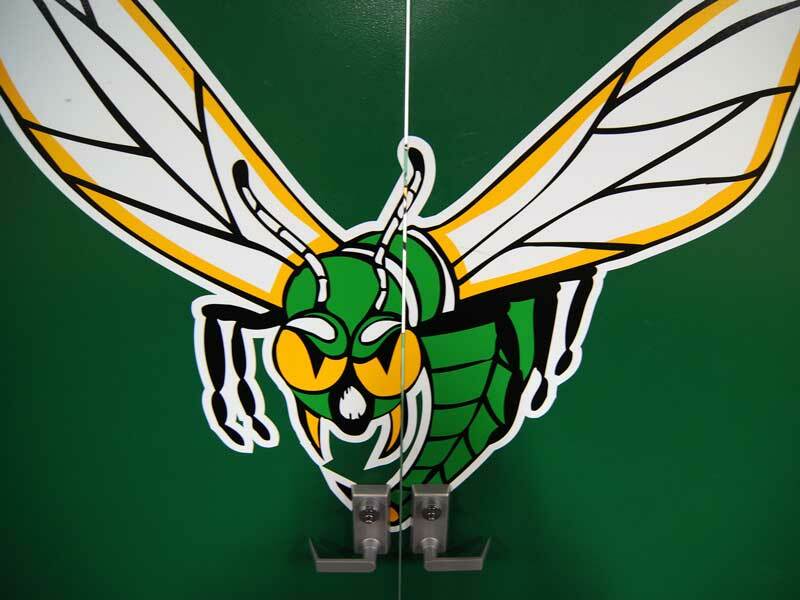 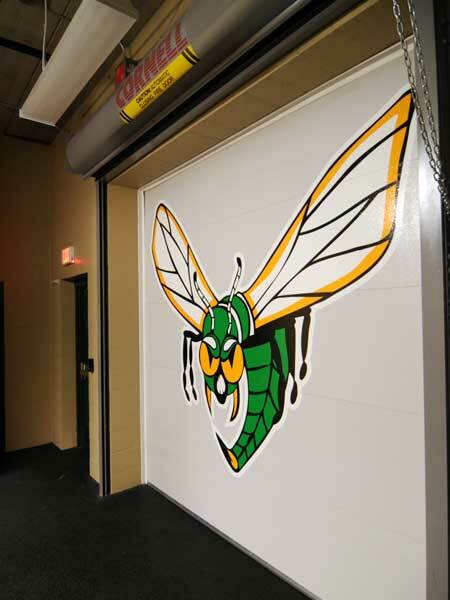 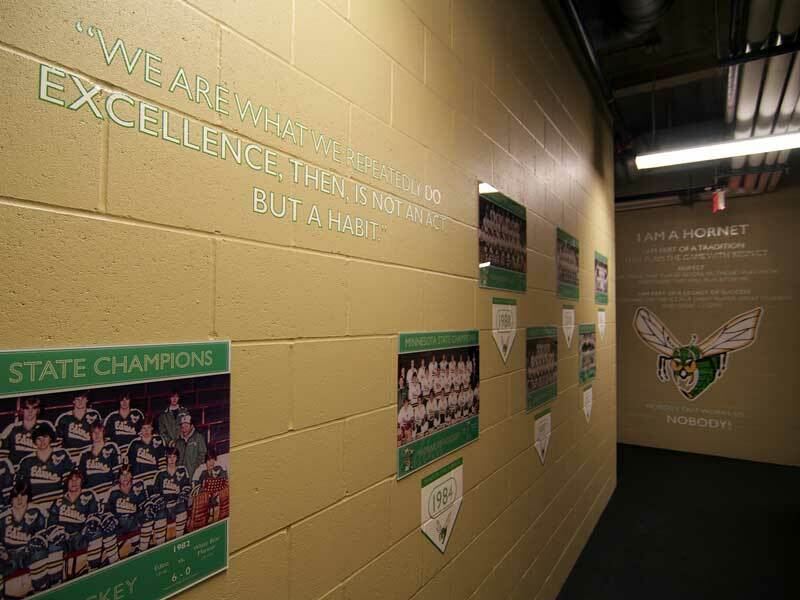 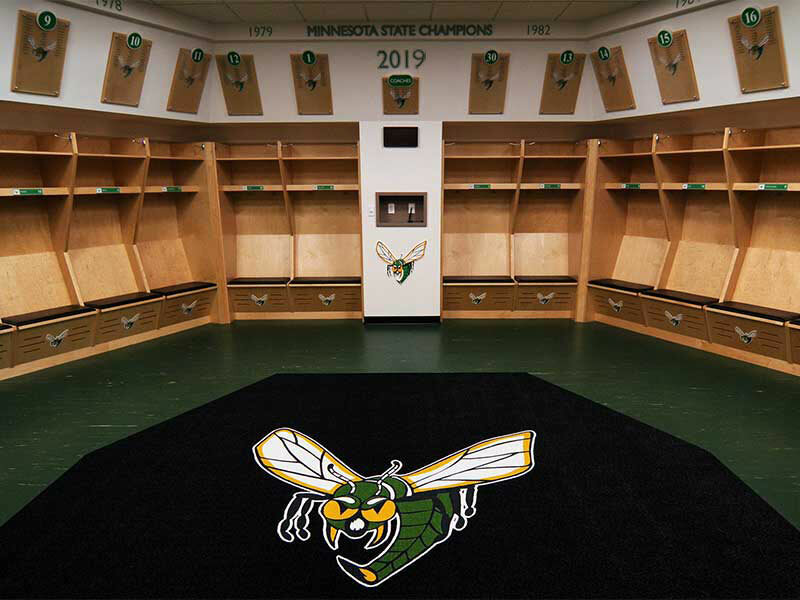 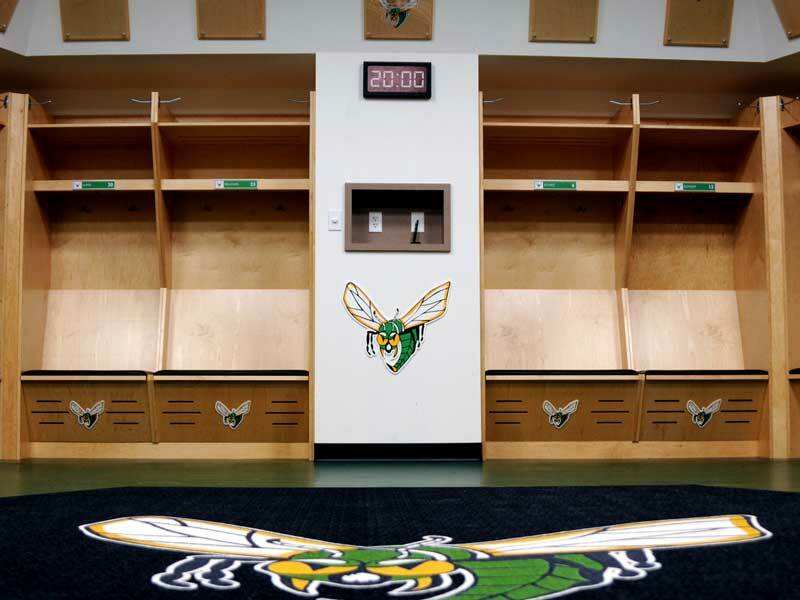 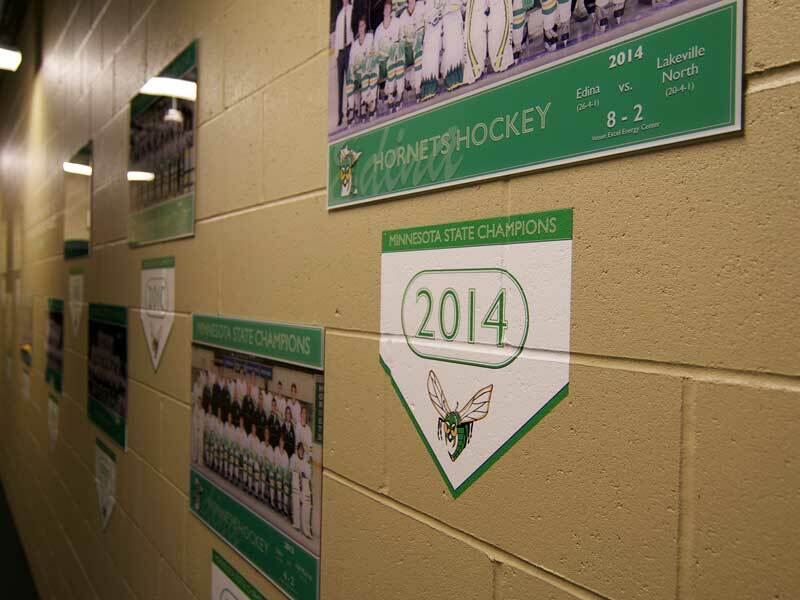 Initiated by a group of dedicated Edina Hornet hockey fans, the scope included new locker rooms and associated space for the Edina High School boys and girls hockey teams. 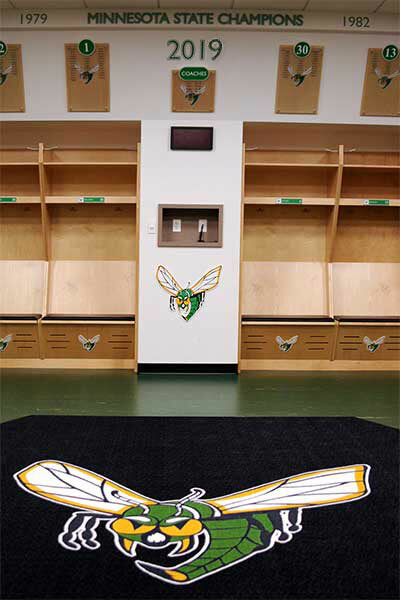 The Hornets Nest also includes retail and dryland training facilities. 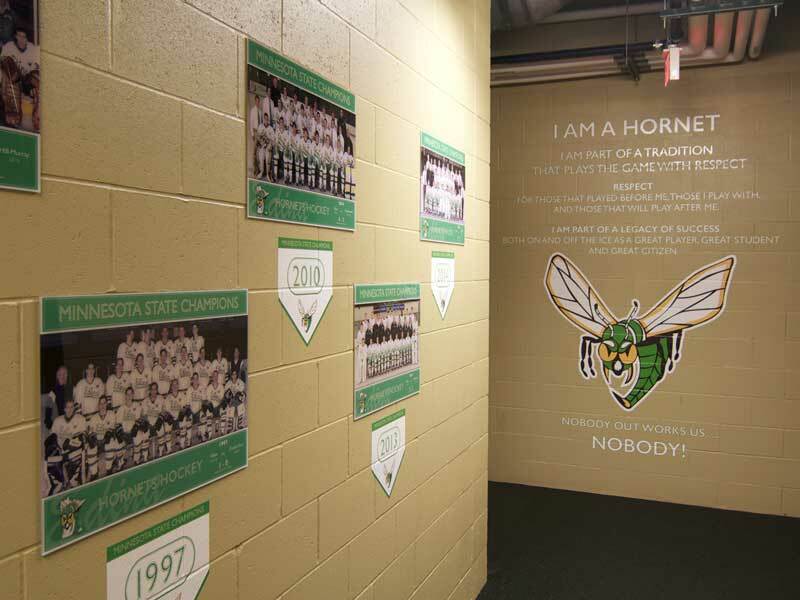 White Design Group was asked to brand the interior space of the Hornets Nest. 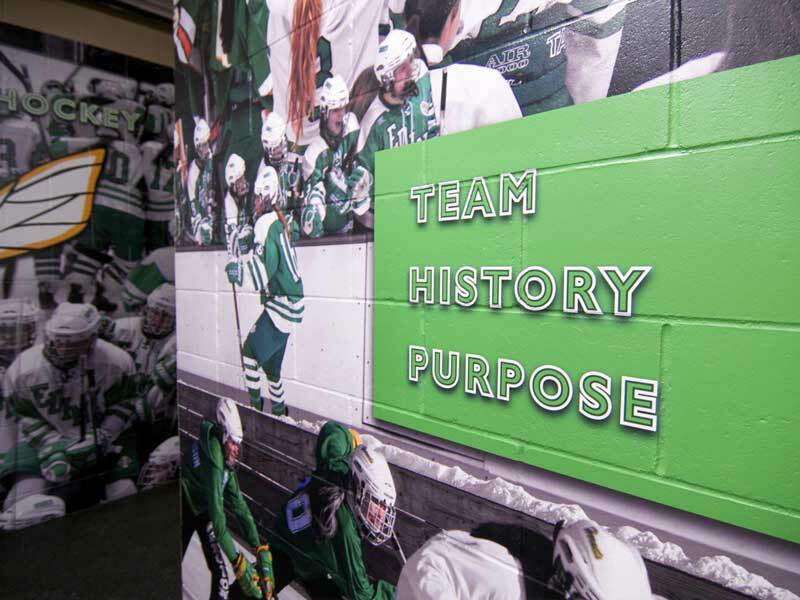 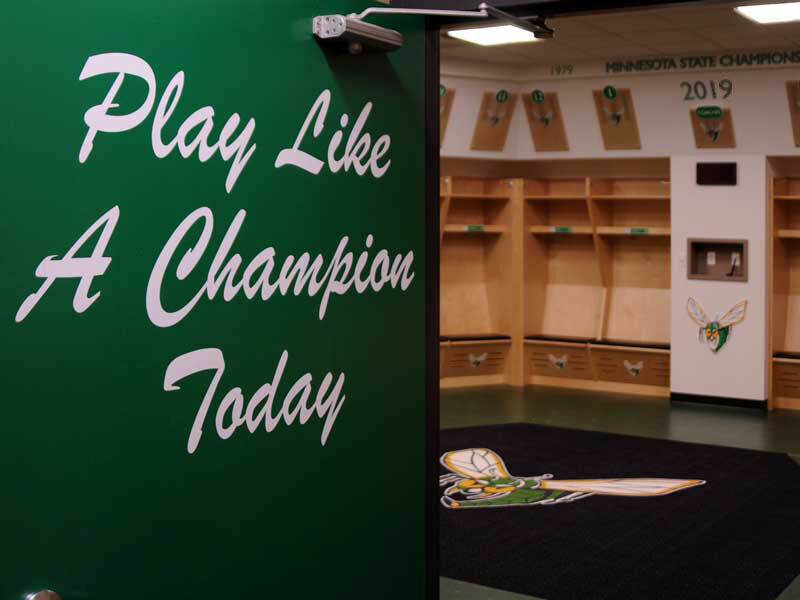 Custom applications were implemented to help connect players and coaches with the legacy of Edina hockey.